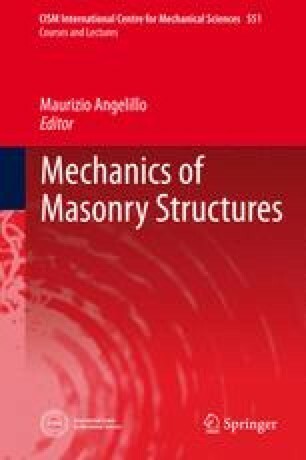 In this Chapter we present the basic experimental facts on masonry materials and introduce simple and refined models for masonry. The simple models are essentially macroscopic and based on the assumption that the material is incapable of sustaining tensile loads (No-Tension assumption). The refined models account for the microscopic structure of masonry, modeling the interaction between the blocks and the interfaces.